The team dominated the 2016 Asian Le Mans Series, launched a World Endurance Championship effort for 2017, and now looks for another big season of Asian Le Mans Series competition, which will launch this weekend at Zhuhai International Circuit. Cosmo and Byrne both have LMP3 experience as co-drivers, having shared a Ligier JS P3 last year in the LMP3 Cup UK as well as raced to victory in the FARA Miami 500 last November as they look forward to combining their skill set for the four Asian Le Mans endurance races. Byrne also has a wide variety of racing experience ranging from IMSA Continental Tire SportsCar Challenge competition to vintage Alfa Romeo GTA racing. Byrne is eager to share a race seat with Cosmo after the two have hunted for the perfect full series ride. Cosmo, who contested the IMSA Continental Tire SportsCar Challenge with TeamTGM this season, will look to add on to his LMP3 resume. Cosmo has logged countless laps on board the Ligier LMP3 as a test driver for Continental Tire and Dunlop tires, and also set a track record in his 2016 Le Mans Michelin Challenge debut for United Autosports. Cosmo and Bryne will be joined by the team’s two car LMP2 line up piloted by Stephane Richelmi, Thomas Laurent and Harrison Newey in the No. 7 Oreca 05 Nissan and David Cheng and Ho-Pin Tung in the No. 5 Oreca 05 Nissan. 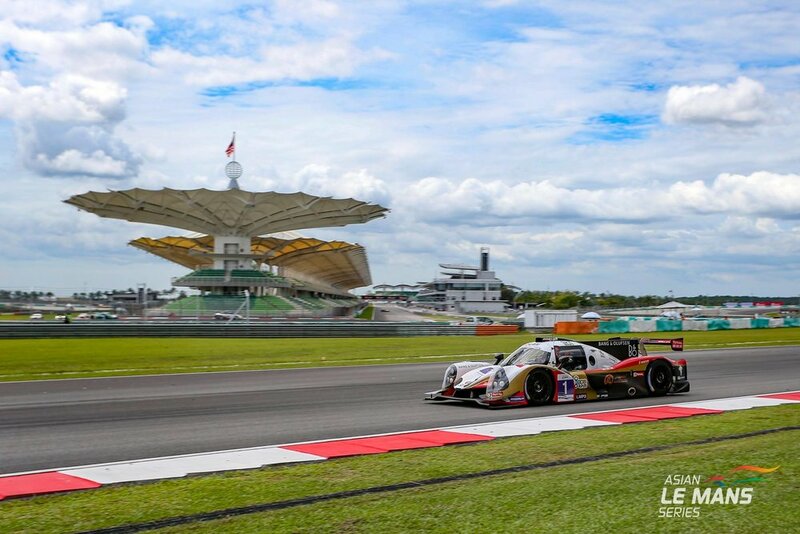 The four-race Asian Le Mans Series kicks off on October 27th-29th at Zhuhai.